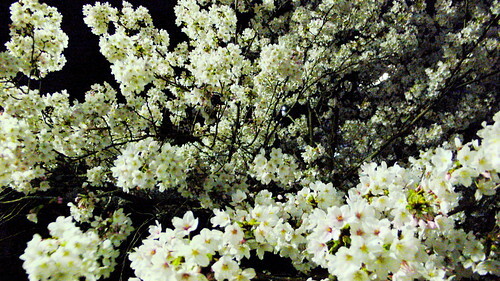 Here are two photographs of the cherry blossoms at Machikaneyama campus at night. I had to take quite a few to get these — the wind was blowing and it was difficult to keep my hand from moving, so many of the shots came out blurry. But these two came out just fine. 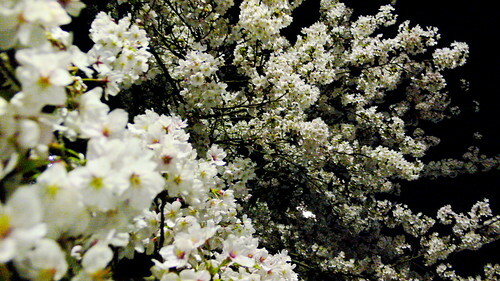 I think these blossoms look like a galaxy strand of drifting comets. the depth in those shots almost makes me dizzy.